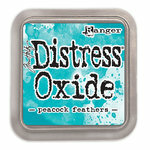 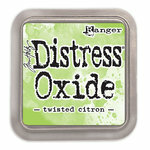 Add bright color to your projects with the Abandoned Coral Distress Oxides Spray by Tim Holtz for Ranger Ink. The package includes a 2 fl oz bottle of orange dye and pigment ink fusion Distress Oxide Spray that creates an oxidized effect when sprayed with water. Made in the USA.